Business / Technology Can Eben Bayer Save the World With Mushrooms? Eben Bayer is coming home to talk about mushrooms. The Vermont native who grew up in South Royalton is speaking at the University of Vermont today, October 17, about his new line of homegrown furniture. Well, factory-grown. Bayer's company, Ecovative, just released a line of furniture made entirely from mycelium and organic matter, such as corn husks and other agricultural byproducts. His presentation, titled "Disrupting Everything: How Biological Technology Will Fuel the Sustainable Revolution," is on the fourth floor of the Davis Center at 4 p.m. Its sponsors are UVM's Community Development and Applied Economics, the Energy Alternatives class, and Vermont Businesses for Social Responsibility. 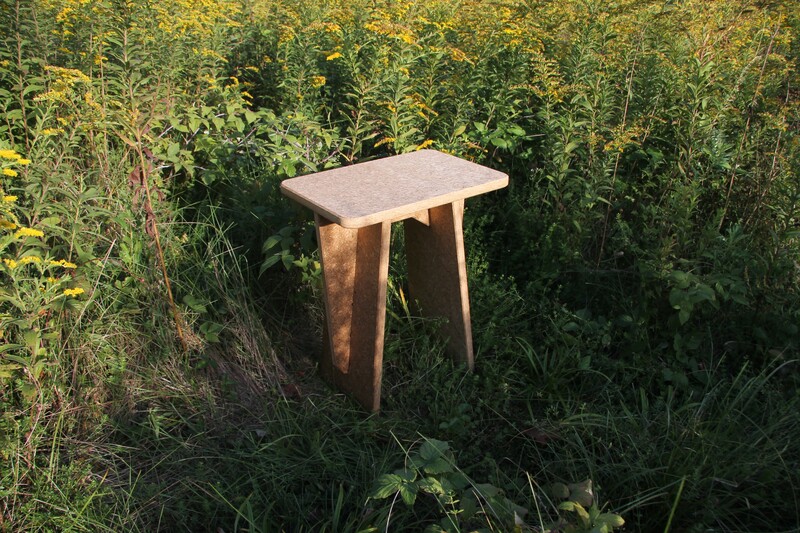 The furniture joins Ecovative's existing line of biodegradable packaging materials, which are used by corporate giants including Dell and Crate & Barrel, as well as smaller folks such as Rich Brilliant Willing, a lighting designer and manufacturer. Those molded items, Bayer says, are incredibly lightweight. They're also a heck of a lot better for the planet than Styrofoam, or polystyrene, which takes hundreds of years to decompose. Not to mention it's a carcinogen. 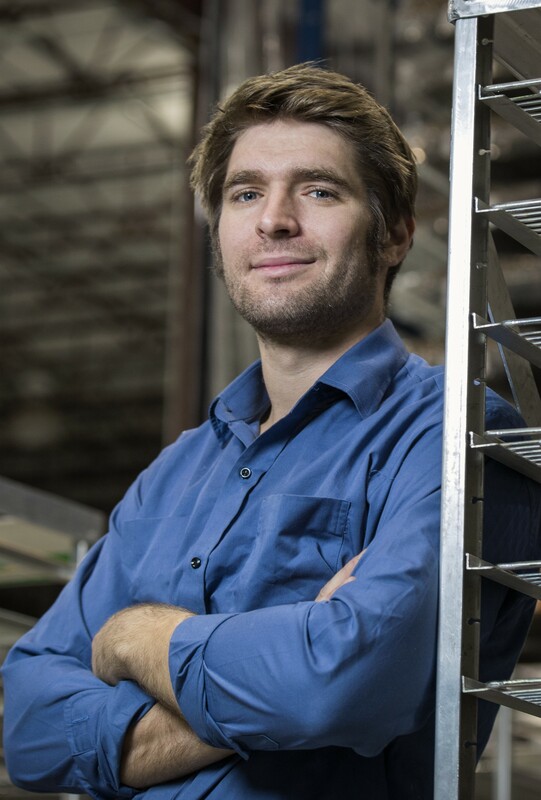 Bayer got the idea for the products while he was still in school at Rensselaer Polytechnic Institute in Troy, N.Y., with Ecovative co-founder Gavin McIntyre. Bayer recalled how the mycelium, which thrives below the soil surface and grows in vast, nutrient-seeking networks, would bind together the wood chips he and his dad used to fuel their sugarhouse operation back in Vermont. So, he and McIntyre teamed up to invent a new insulation using agricultural waste and those glue-like strands. That idea grew into a company with two factories in the United States, which has pivoted from insulation to the present variety of household materials and finished products, from tiles to chairs. All of them are biodegradable, nontoxic, and possibly the cure for a plastics-obsessed society with little regard for the short- and long-term toxicity of the materials with which we interact every day. Seven Days reached Bayer for a preview of his Burlington talk. SEVEN DAYS: Can you walk me through your production process? EBEN BAYER: We use a variety of substrates, like wood or hemp, and use fungal mycelium to transform that substrate into a variety of materials. Those vary from low density foams to high density boards to soft cushions and even mushroom leather. SD: Using those materials, you've just rolled out a new line of products for the home, a table, desk, household accessories. What other, future uses do you foresee for this product? EB: Well, our view is to make everything for the home, from insulation for walls to structural materials for floors to the things that go to your home, like packaging. SD: You also received mention from the EPA in its July 27 ruling regarding the regulation of toxic formaldehyde in composite wood products. What has that done for your business? EB: They're phasing out formaldehyde [from that manufacturing process,] and they specifically mentioned Ecovative as a biological alternative. It's great to get a head nod like that. Our goal is to affect the whole value chain, and to work across the value board. We're working with three mills in [the United States] and one in Europe [to introduce mycelium as a binding agent in manufacturing composite wood products]. SD: I'm interested in the foam and leather-like products you mentioned, which are used in your new household items as seating features, and which your website says are 100 percent mycelium. How is it possible to grow the mycelium without substrate to draw nutrients from? SD: We've talked about your products for inside the home. What about outside the home? Would that work with biodegradable products? EB: It's feasible [with the right chemical treatments,] because our materials are 100 percent bio based. So it's about managing durability when they're exposed to the elements. We prefer to focus on inside the home. That's where your risk of chemical exposure is the highest, and it's our sweet spot in terms of [product] performance. SD: Are there any other inventors using mushrooms or biological manufacturing processes in ways that you admire? EB: There's a wonderful company in North Carolina called bioMASON. They combine sand and bacteria and grow bricks. It's another biofabricated product, similar to what we do, where the organism becomes a part of the product, but using a very different organism. I think what they're doing is quite wonderful. SD: So, essentially, you could build an entire house with your materials on the inside and theirs on the outside for an eco-friendly solution to toxic plastics/materials in the home. Want to learn more? Check out Bayer's 2010 Ted Talk.